Canaryfly has revalidated leadership as the most punctual airline in the world, according to the latest report of the OAG agency Flightview, in which the company tops the ranking with an average of 92.3% in the more than 1,000 flights of the last month of July 2018. In this way, this low-cost airline that flies in the Canary Islands leads the ranking above Hawaiian Airlines, with an average of 91.1%, and Hong Kong Airlines, with a punctuality of 90.9%, a statement said today of Canaryfly. The data of OAG Flightview, the company with the most international prestige in the management of statistics in the aeronautical sector, is also endorsed by the counts of Flightstats, another of the leading consultancies in the aviation sector worldwide. In the case of Flightstats, the comparison places Canaryfly as the most punctual regional airline in Europe with 92.13% of its operations per hour, ahead of the Norwegian Wideroe and the Spanish Iberia Express. “Canaries demand price and punctuality. We have worked hard to give it to him and we have been grateful to him turning Canaryfly into his favorite option of transport between islands. If this also makes us the most punctual company in the world because it makes us doubly proud, “says Carli Monzón, commercial director of the airline. 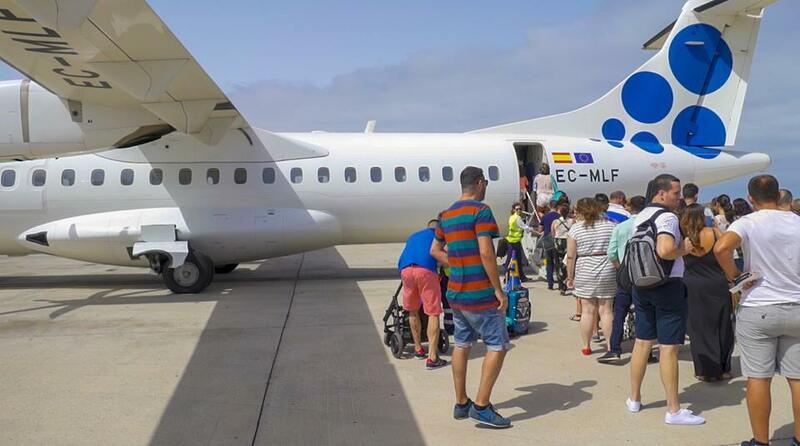 Canaryfly currently carries more than 50,000 passengers each month, a number of passengers that has not stopped growing in the last year and which, with an increase in 2017 of 53% over the previous year, places it among the airlines with the highest growth in Spain, concludes the note.